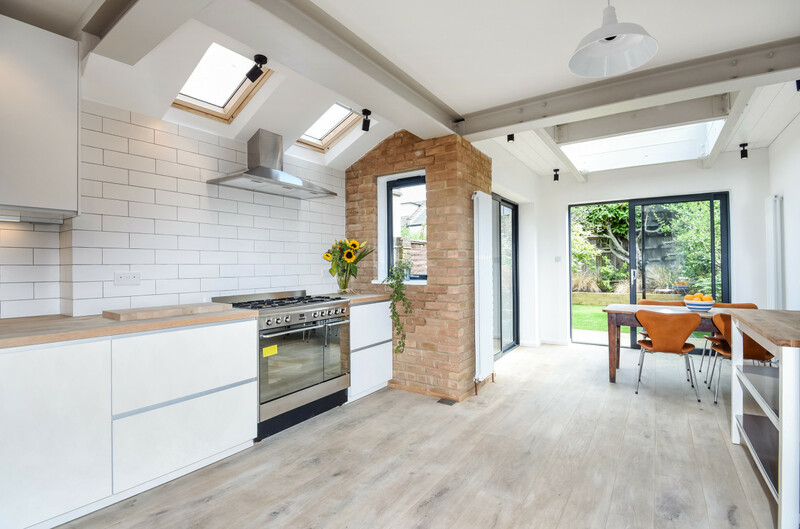 Considered by many homeowners as the heart of the home, the kitchen is the perfect place to gather over shared meals and spending quality time. However, it’s the one room that takes up more beating than any other surface in your home; from spilled juice at the breakfast table to muddy paw prints from outside and even children’s spontaneous indoor games can be quite intense. That’s why this high-traffic room needs a floor that not only looks good, but can withstand ordinary wear. 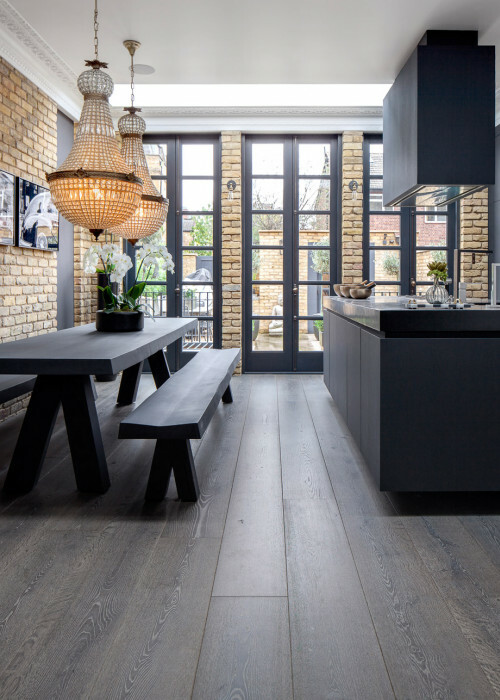 So you may wonder: Does a wood floor belong in the kitchen? 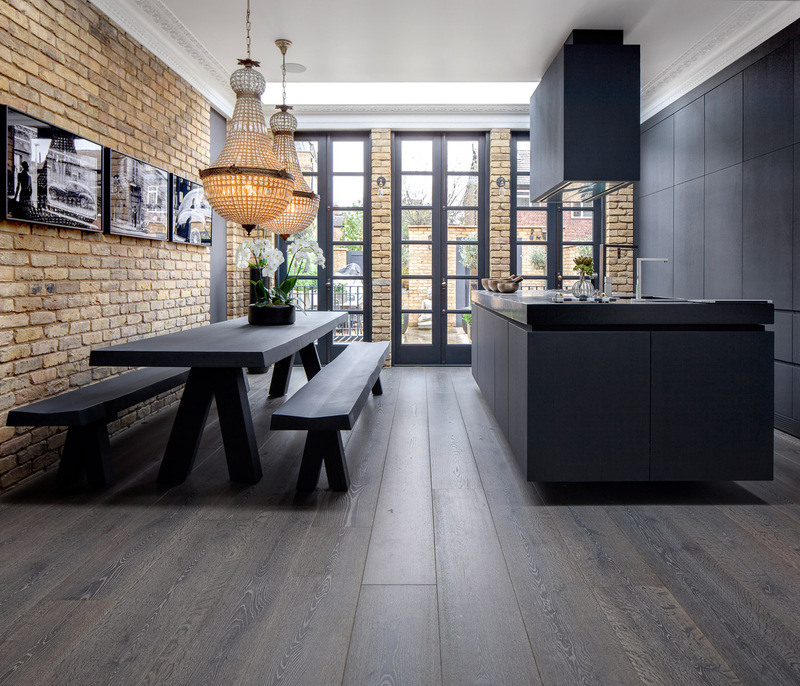 If so, what is the best wood flooring for kitchens? 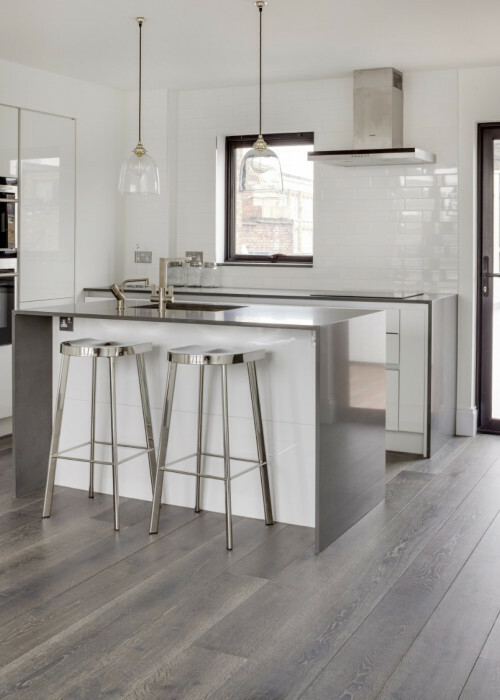 Sure – most of today’s wood floor finishes are suitable for kitchens, as long as you’re willing to wipe up spills and stick to a maintenance routine then you are good to go. 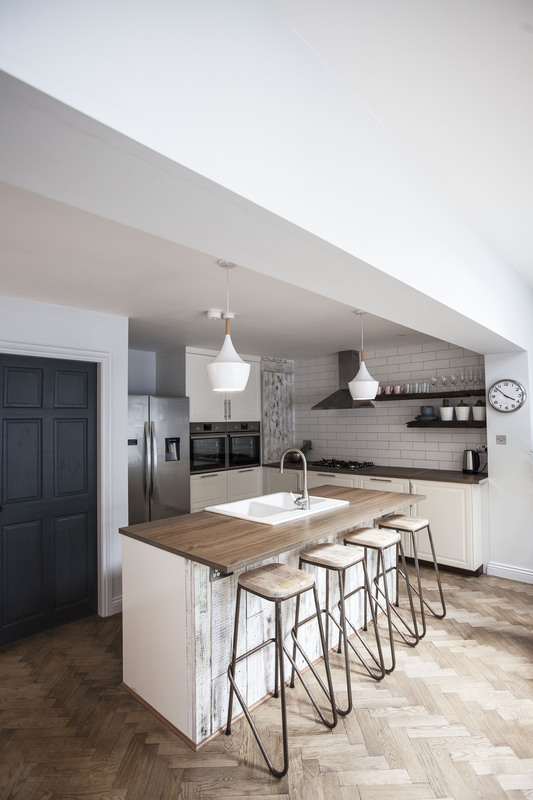 Wood flooring is warm, natural and lends itself perfectly to both modern and traditional kitchens. 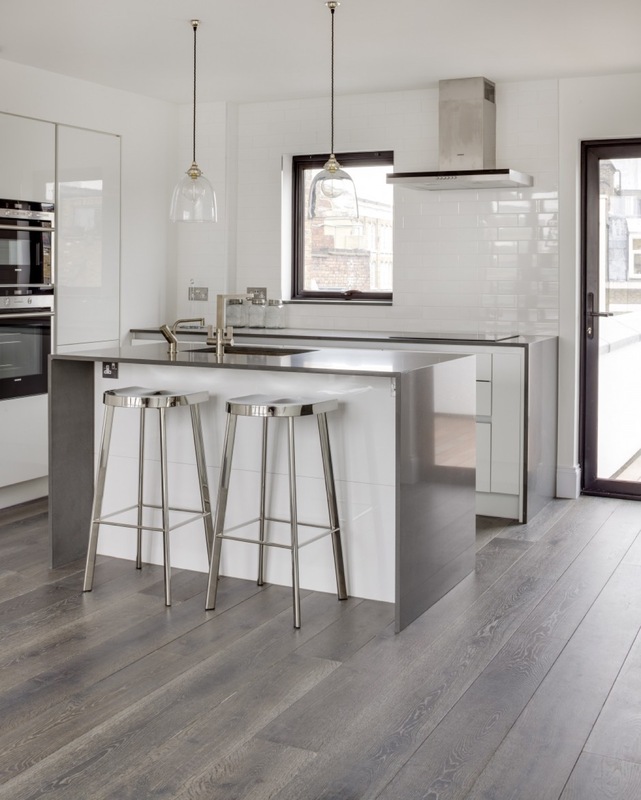 There is absolutely nothing wrong with having your heart set on wood flooring in the kitchen and hardwood floors are an increasingly popular choice for a kitchen, and often a smart choice. In fact, they can do amazing things for the design of a kitchen and few flooring surfaces can match the look and feel of real hardwood. 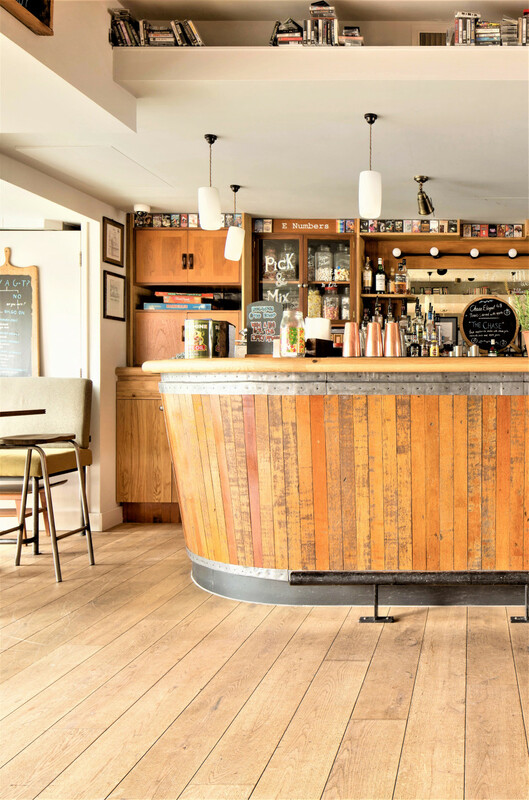 For instance Oak is one of the strongest domestic and commercial wood species; its rich grain and exquisite texture not only makes the floor look stunning and unique, it also helps disguise small dents and scratches that are bound to occur over time. Because this is a natural product, it can contract and expand as temperature or moisture levels rise. This becomes an issue in large kitchens where steam and heat are most likely. 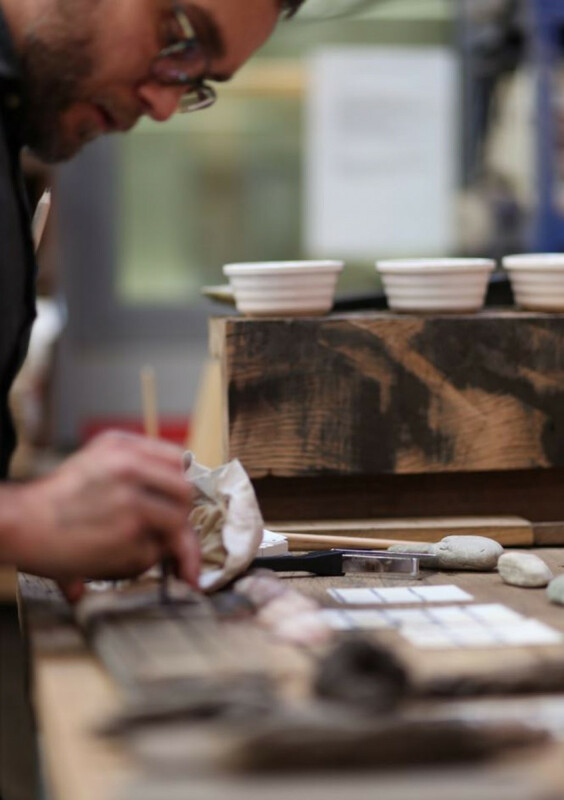 For this reason, engineered wood is probably your best bet to avoid cupping and gapping. Engineered wood can still contract and expand, but not quite to the same level as solid wood can. This also means that it’s suitable for the modern-day, busy kitchen, and will take all that life has to throw at it. They also work better over a slab floor because their design can withstand the changing conditions in the concrete subfloor. It really takes longer for engineered product to move with humidity than a solid product. One of the features of wood flooring that people often leave to the very last minute is the choice of finish for their new wood floors. After installation in the kitchen, its surface needs to be protected with a sealing agent that will prevent the penetration of moisture and staining agents. 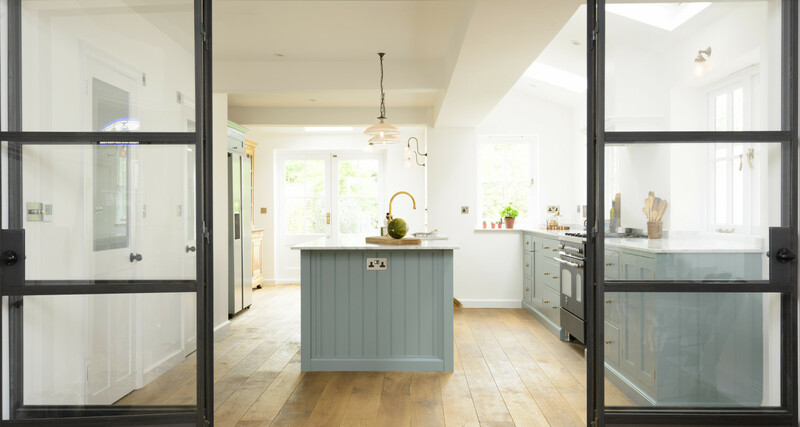 Water can be quite an issue in the kitchen as it’s used all the time; hence the finish has to be water-resistant because of the potential for the presence of water on the floor. You are going to want to apply several coats of sealer in order to protect the material. Select a surface finish that is exceptionally strong, to protect the wood from damages and one that is easy to restore and renew. UV-cured oil finishes is a great finish to use. Local area damages can be easily restored. Spot repairs can be done using sanding paper, stain (if necessary) and renewer oil. An oil-finished hardwood floor is the best option for a kitchen where all spills are cleaned up quickly. 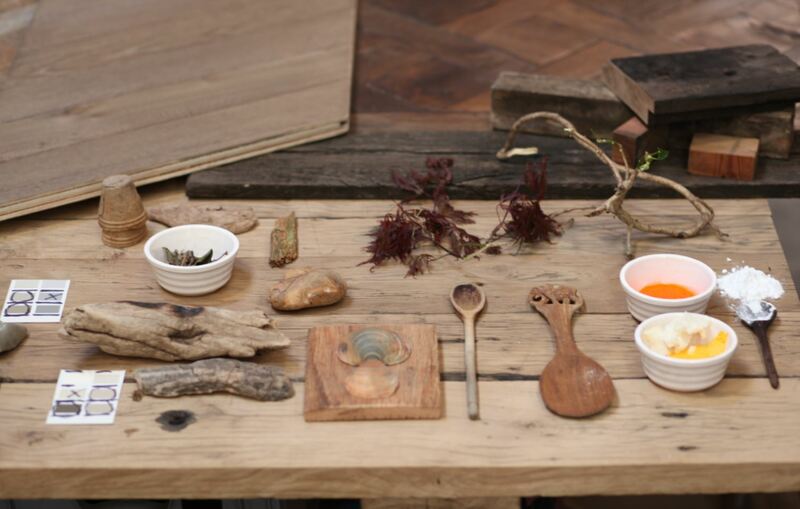 Our In-House oils and finishes work great in kitchen and bathroom areas. Regardless of the type of surface finish, it’s advisable to maintain your hardwood kitchen with regular sweep or vacuum and promptly clean up all spills. For extra care, never allow water to stand on the surface for any amount of time. Maintaining the finish can be done by applying a hard-wax maintaining oil every 6-10 months. Osmo and Woca have a good selection of products. You can also test the finish on the floor by pouring a very small amount of water on it in some of the most highly trafficked areas. If it beads up the finish is fine. However, if it sinks in, wipe the liquid up immediately and start looking into quality water repelling hardwood finish.